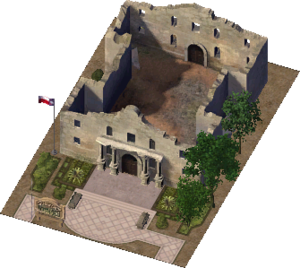 The Alamo is a Landmark Building in SimCity 4. It is a recreation of The Alamo Mission in San Antonio, Texas, United States, built in 1744. This page was last modified on 14 May 2018, at 16:44.